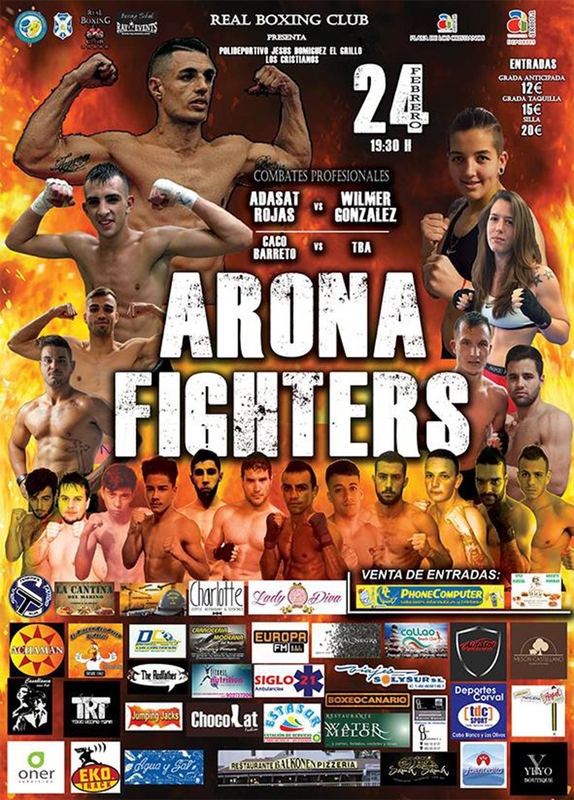 Arona's fighters are knuckling up to give their fans an evening of professional and amateur boxing this Friday Feb the 24th at the Jesus Dominguez “Grillo” sports club in Los Cristianos. There will be two professional and nine amateur matches including the notorious Adasat “Toro” Rojas and Jacobo Barreto “Caco”. There will also be a female match in the amateur category with Spain champion Melissa Tudge. The proceedings will kick off at 19.30 and tickets cost between 12 and 20 Euros.